Phi11, a temperate bacteriophage of Staphylococcus aureus, has been found to harbor a cro repressor gene which facilitates Phi11 to adopt the lytic mode of development. 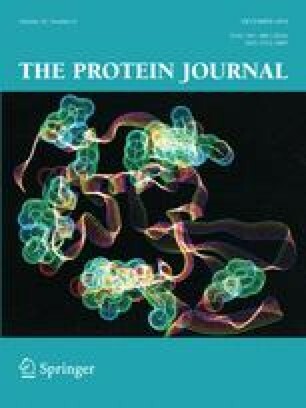 The Cro protein has been found to bind very specifically to a 15-bp operator DNA, located in the Phi11 cI–cro intergenic region . To investigate the effects exerted by different ions upon the interaction between Cro and its cognate operator DNA, we have employed gel shift assays as well as circular dichroism spectral analysis. In this communication, we have shown that NH4 + and acetate− ions better facilitated the binding of Cro with its cognate operator as compared to Na+, K+ and Li+. Interestingly, Mg2+, carbonate2− and Citrate3− have an inhibitory effect upon the binding. The effect of the said ions upon the structure of Cro was also investigated by circular dichroism and it was found that other than Citrate3− ions, none of the other ions destabilised the protein. On the other hand, Mg2+ and carbonate2− ions maintained the structure of the protein but severely hampered its functional activity. Citrate3− ions severely unfolded Cro and also inhibited its function. Considering all the data, NH4 + and acetate− ions appeared to be more suitable in maintaining the biological activity of Cro. This work was supported by the financial assistance from BRNS [DAE, Govt. of India] [Sanction No. 2013/37B/19/BRNS] and DST-SERB [EMR/2015/002229] to Dr. Malabika Biswas. Mr. Avijit Das is a recipient of Junior Research Fellowship from BRNS [DAE, Govt. of India]. We are also thankful to CIF, UDSC New Delhi, India for carrying out CD spectra.